You’ve probably noticed that things have been a little rough and tumble around here in terms of the website and podcast. Several times over the past few months we’ve had inexplicable server outages, where the thing would suddenly stop responding for no apparent reason. (Naturally this would usually happen either when I can’t really get to a keyboard and fix things — I’m out of town, at work, etc.) Finally, things came to a head this past weekend when the server went down again, only this time it was accompanied by a call from my hosting company saying that my server had been compromised and was being used to send denial-of-service attacks. Whether these events are related is still unknown (I suspect that they are). In any case, it meant that I needed to take some action. So, this week I completely wiped the machine, restored from backups, and re-installed the software that runs the site in a (hopefully) more secure and less haphazard manner than before. 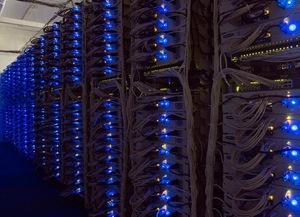 (We also moved to a new server with more capacity.) I’m hoping that these changes will result in a smoother running, better performing, and more reliable website and podcast. First of all, my apologies for the downtime. Now, in an ideal world, you (the listener) would have no idea that anything has changed. Unfortunately this is not an ideal world. So odds are that some of you may have had some trouble getting to the website. Some of you may still be having trouble as I write this. Fortunately this should all settle out over the next day or three. We also changed the way we serve out the podcast episode files (the MP3s and videos themselves). We are no longer hosting the podcast files ourselves, but instead are serving these out through a third party service called Libsyn. I’m still in the process of copying over all our episodes. All of the audio episodes should be up by now; however most of the older video episodes haven’t yet been posted. So if you’ve just subscribed to the podcast, or you’re going through our back catalog, and are wondeing why none of the videos are there, well, that’s why. I’ll be uploading the rest of our videos over the next few weeks, but in the meantime, if you, for whatever reason, have some burning desire to see some of our older video content, then please feel free to check out our YouTube channel.